1) Amazon.com was founded in the year 1994. 2) Number of Amazon.com active users is 244 million. 3) Number of Amazon Prime customers is 40 million. 4) Amazon’s net sales in 2014 was $88.99 billion. 5) In 2014, 2 billion products were purchased from Amazon Marketplace sellers. 6) Among streaming devices, Amazon’s Fire TV’s share of sales is 16%. 7) Amazon’s estimated gross sales in 2015 is around $88 billion. 8) Amazon’s share in 2015 Black Friday e-commerce sales is 35.7%. 9) Number of Amazon mobile developers is 48,000. 10) In Q4 2014, Amazon’s net sales were $29.33 billion. 11) Amazon net income in Q4 2014 was $214 million. 12) Percentage of smartphone owners that use an Amazon app is 68.6%. 13) Number of Amazon Instant Video users across the globe is 25 million. 14) Amazon AppStore is available in 200 countries. 15) More than 240,000 apps and games are available in the Amazon AppStore. 16) Amazon holds 2 million Marketplace sellers through its platform. 17) Number of digital media items available on Amazon is 27 million. 18) Over 1, 00,000 employees are there working for Amazon. 19) Amazon’s Instant Video users have grown by 350% from 2011 to 2014. 20) Amazon Q1 2015 revenue was $22.72 billion. 21) Amazon Q2 2015 revenue was $21.4 billion. 22) Amazon Q3 2015 revenue was $25.4 billion. 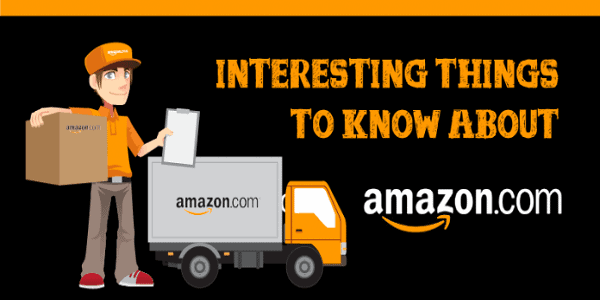 23) Amazon.in (Amazon India) has over 17 million products over the platform. 24) Amount that Amazon spent on Google U.S. search ads in 2013 was 157.7 million. 25) 63 % male and 37% female employees are working in Amazon office.